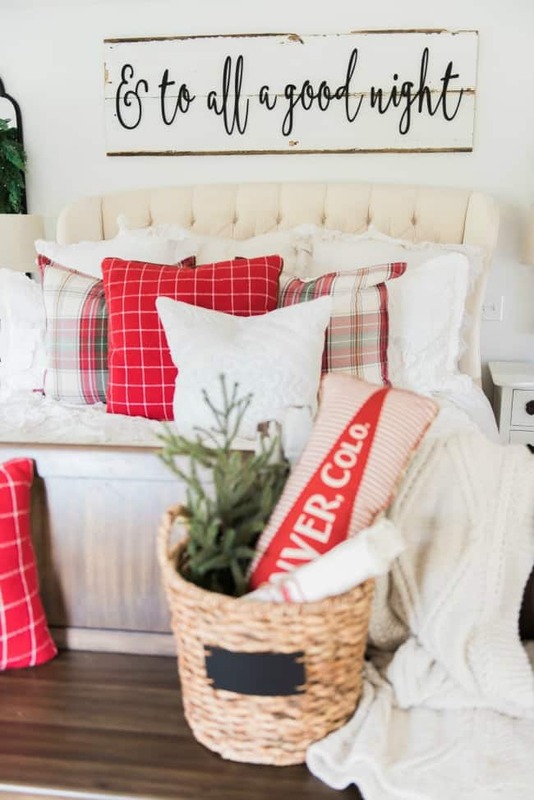 The BEST Modern Farmhouse Christmas Decor ideas! 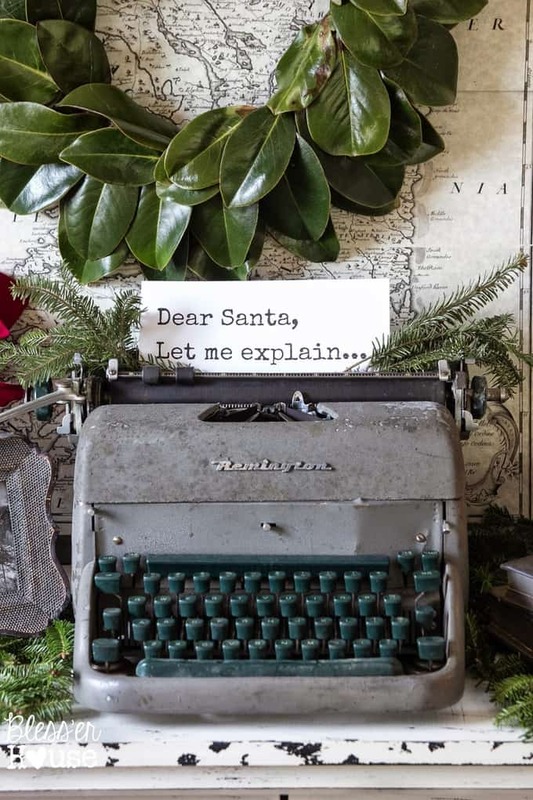 I wanted to share my favorite Modern Farmhouse Christmas Decor today. 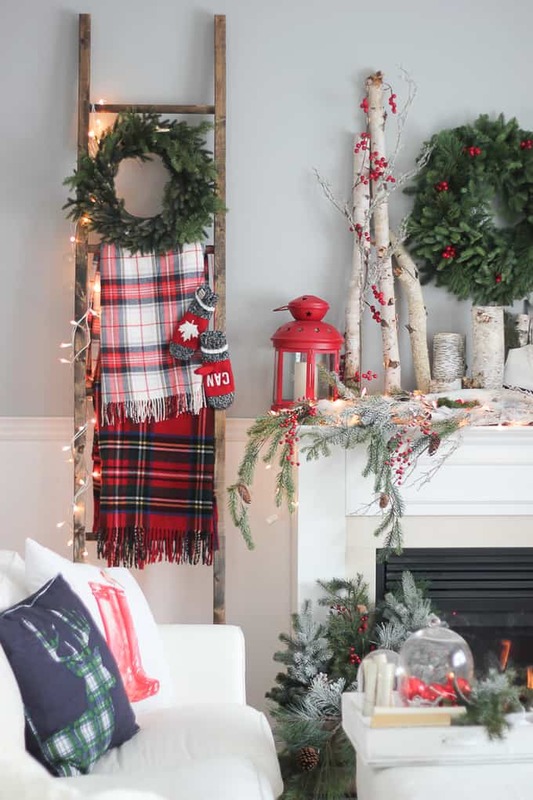 I love Rustic Christmas Decor all through the year, but it’s especially fun to decorate our house in Modern Farmhouse Christmas Decor with pops of plaid, wood & metal. Even our Elf on the Shelf seems to like hanging out in our Farmhouse style Burlap stocking. 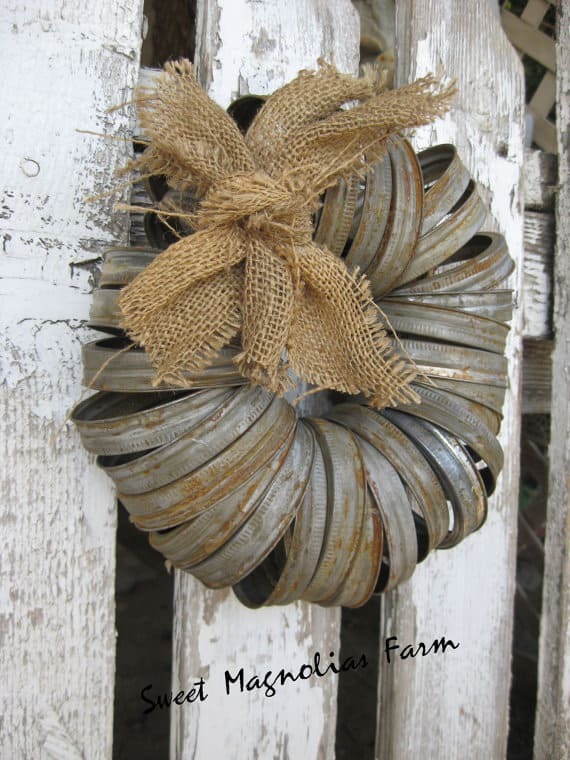 😉 I think that I love the farmhouse look because it is timeless. I’ve been looking up ideas all over Pinterest & on other blogger’s pages and today I’ve put them all in one place (so we can both enjoy them.). I’ve included affiliate links to some of the decorations. I hope that you love these ideas as I much as I do. 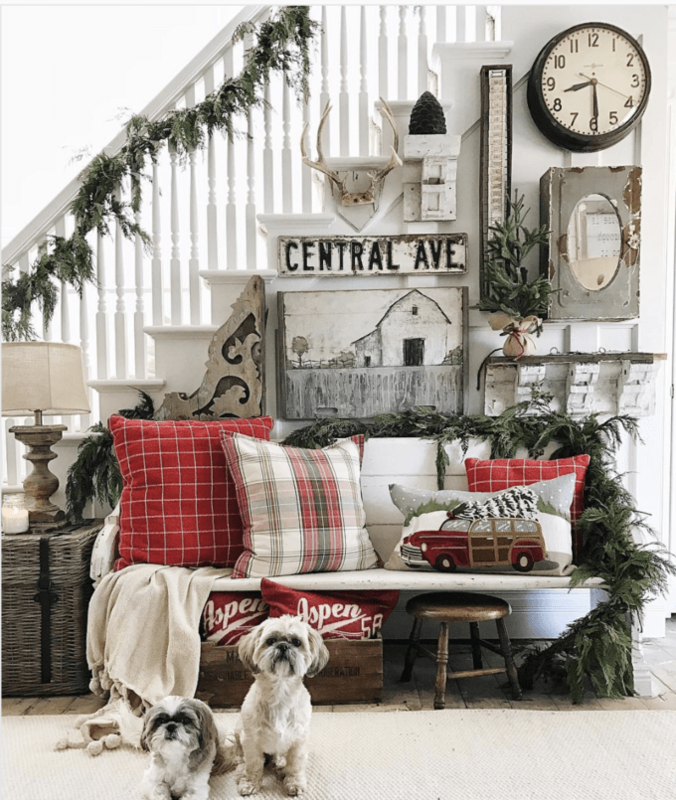 How adorable is this Christmas countdown in her Modern Farmhouse? It’s on my to-do list. 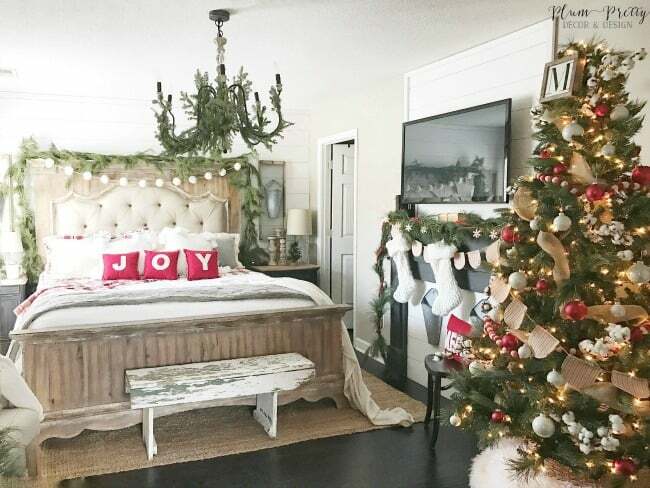 I love how she put a tree in her bedroom – so festive & cozy! 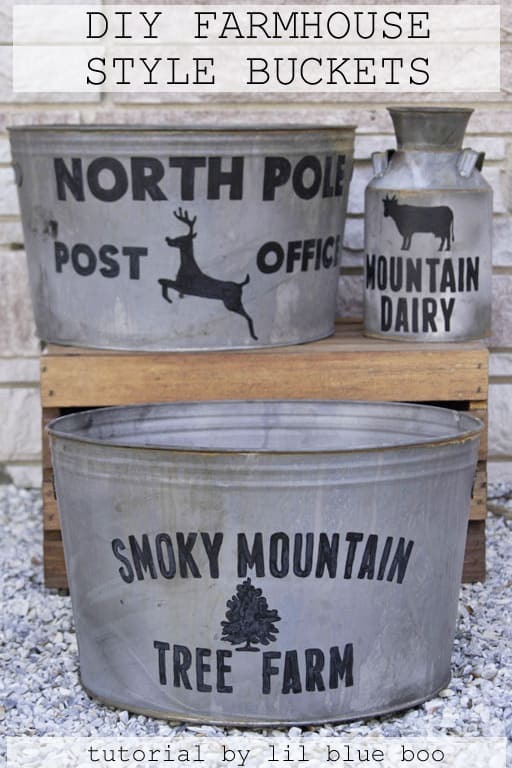 DIY Farmhouse Galvanized Bucket for this year’s tree. You can find a set of 3 similar buckets here. 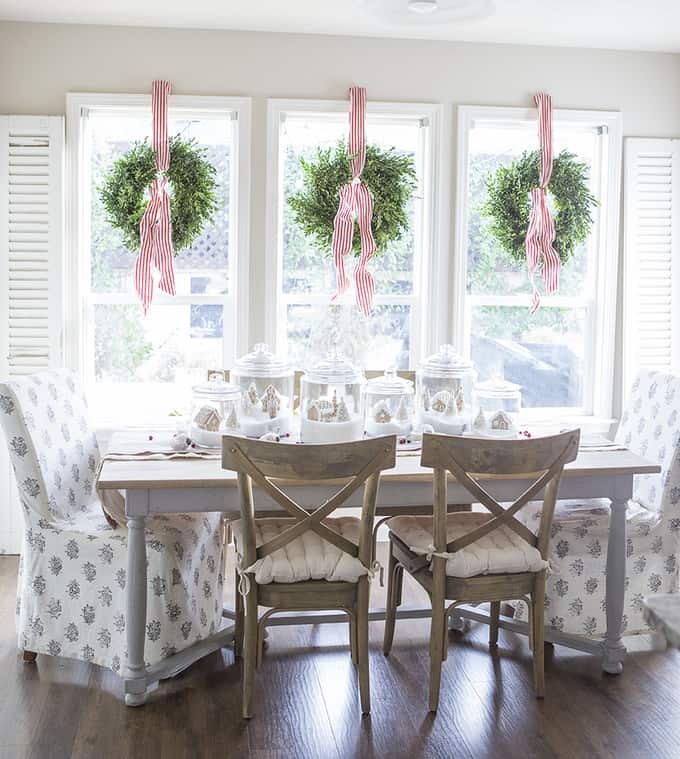 Do you want a true “farmhouse feel”? 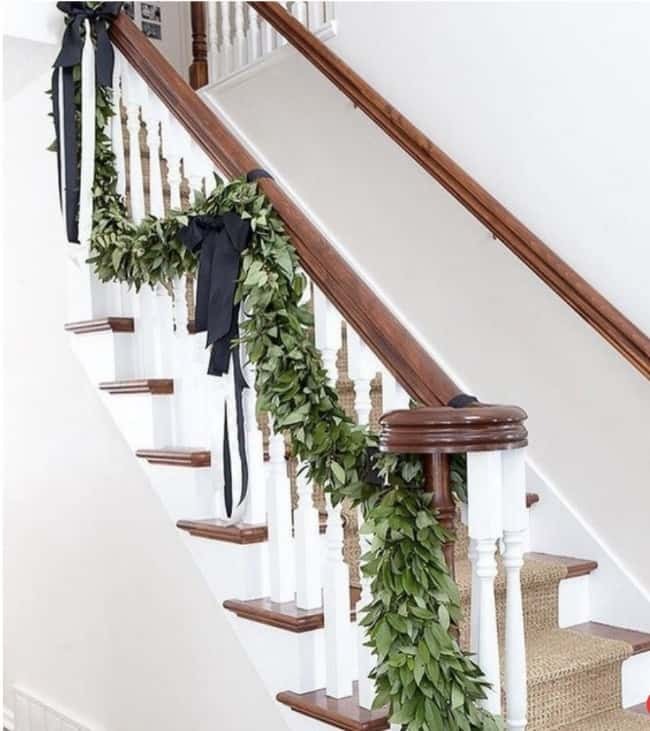 Choose live garland this year. 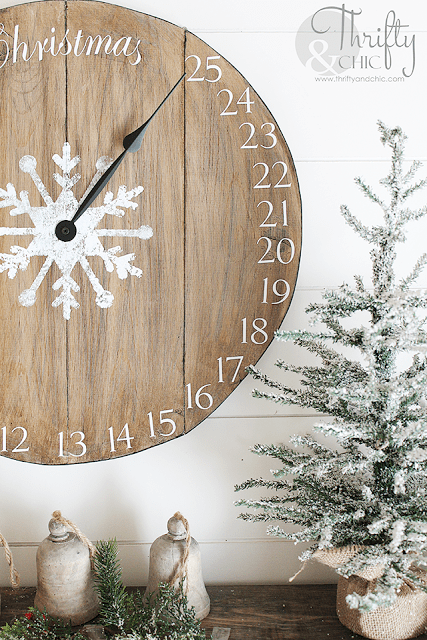 Toss on a Christmas Throw and a wreath for an added touch! 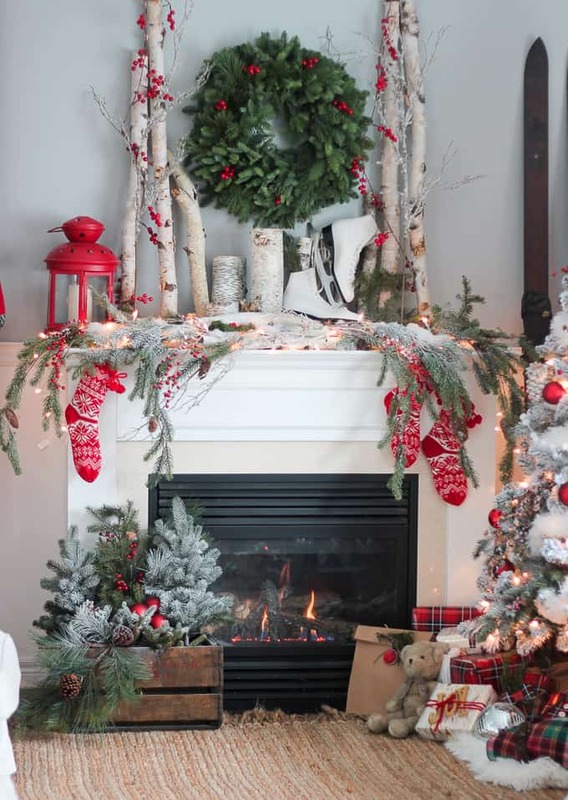 I also love her rustic ice skates on the mantel (I had ones just like that as a child). You can order Vintage Ice Skates here. 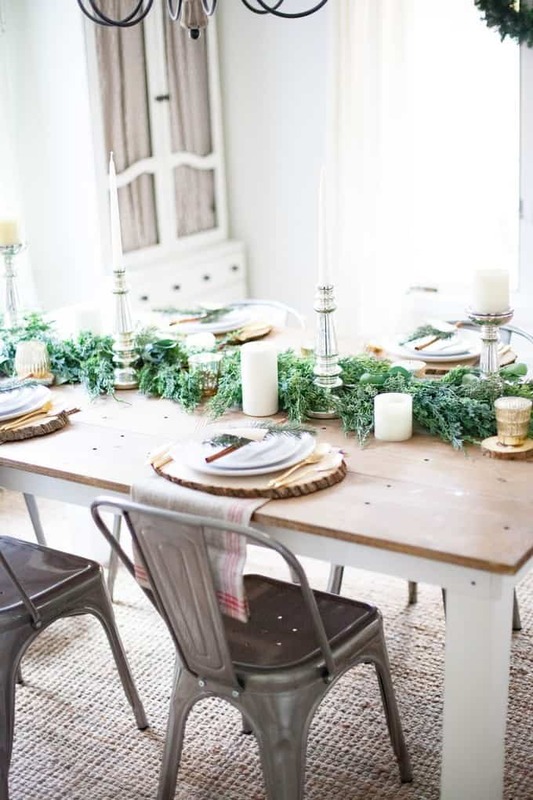 This modern farmhouse Christmas Tablescape is beautiful. 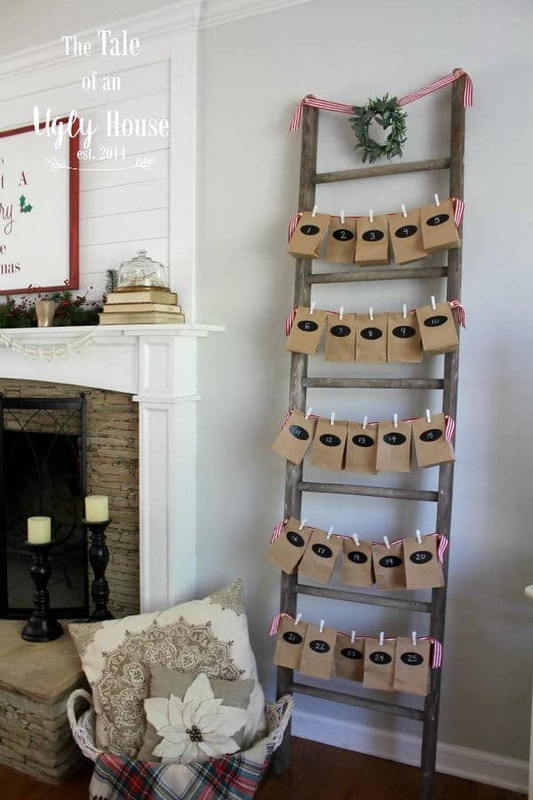 How cute is this calendar set on an old ladder. 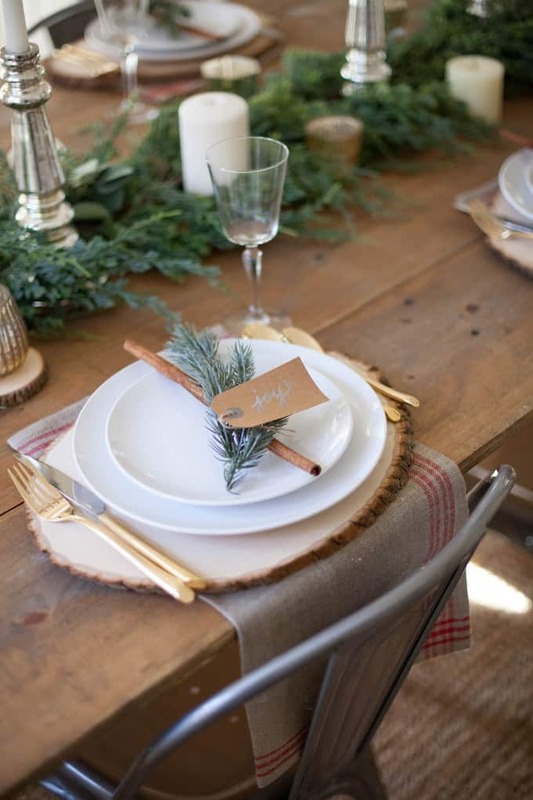 Each day has a small gift inside of a brown paper bag, hung with clothespins. Find a Reclaimed Old Wooden Ladder 6 Foot Rustic Barn Wood here. This would be pretty well past the holidays! 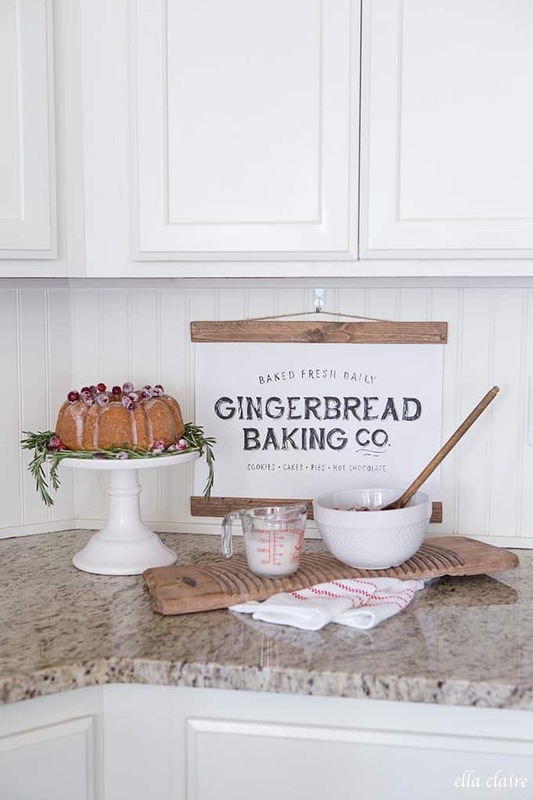 So… are you ready to decorate? 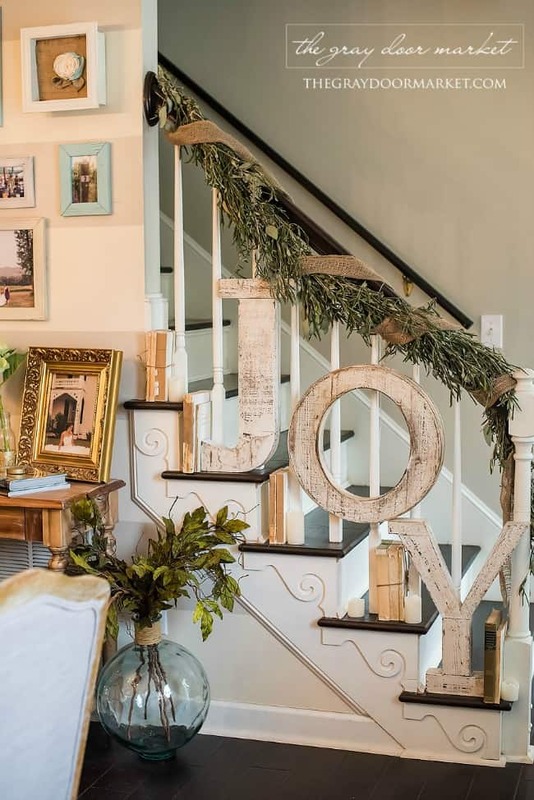 I hope these Fixer Upper Style Christmas Decorating Ideas inspired you! 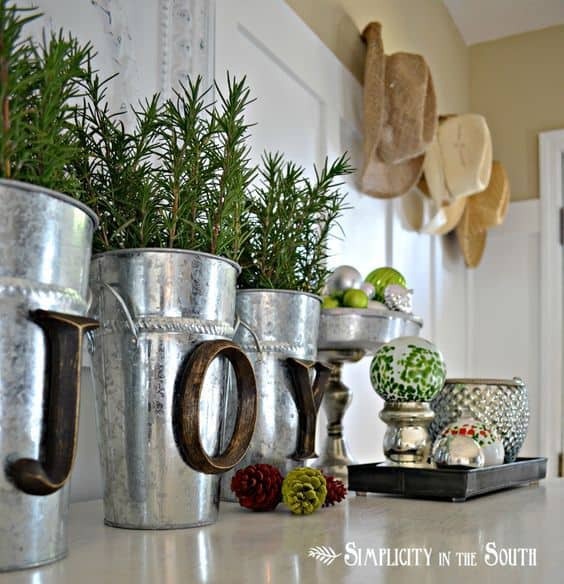 Farmhouse Christmas Decorating makes a home feel cozy, welcoming and cheerful… May your home be calm & bright. 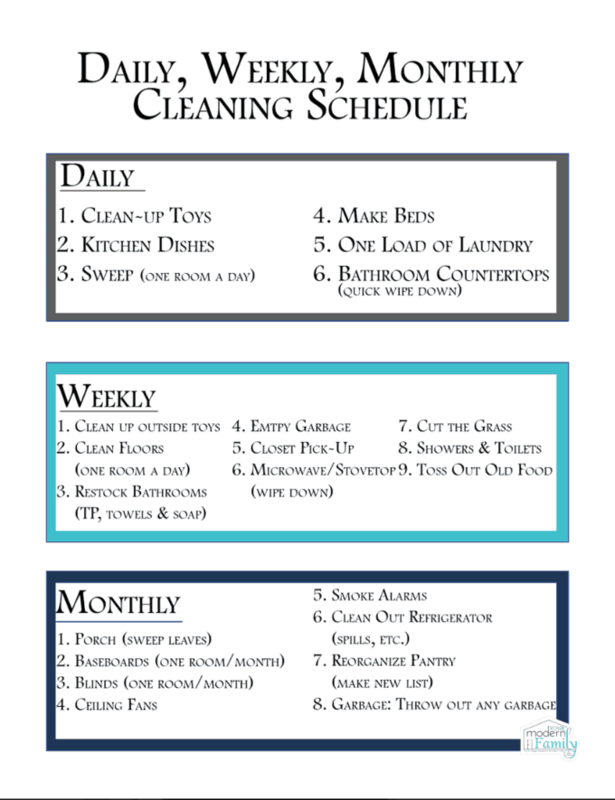 Ps… here is a cleaning & organizing printable list that might help you to prepare for decorating! Thanks for sharing this great articles. I will implement your ideas to decorate my room. Thanks a lot.